Stress is an incredibly common condition that can affect your day to day lives, your job, your relationships and ultimately your physical health. In this day and age, many of us seem to live relentlessly stressful lives and the consequences can be extremely serious. While more people are becoming aware of the condition, stress, like other emotional issues including anxiety and depression still tends to be misunderstood by much of the public. Many people suffer in absolute silence because they are embarrassed by their perceived weakness. Many many others are prescribed strong medications that do not always work and bring a very real risk of negative side effects and dependency. Fortunately for any of you that are suffering, there are plenty of potential alternatives. Relaxation techniques, exercise and herbal teas can all play a significant part in returning you to health. Another option is to use one of the wide variety of essential oils on the market. A great many essential oils can do wonders for your mental state. They can help calm the mind, relieve anxiety and even help you to get a good night of sleep. 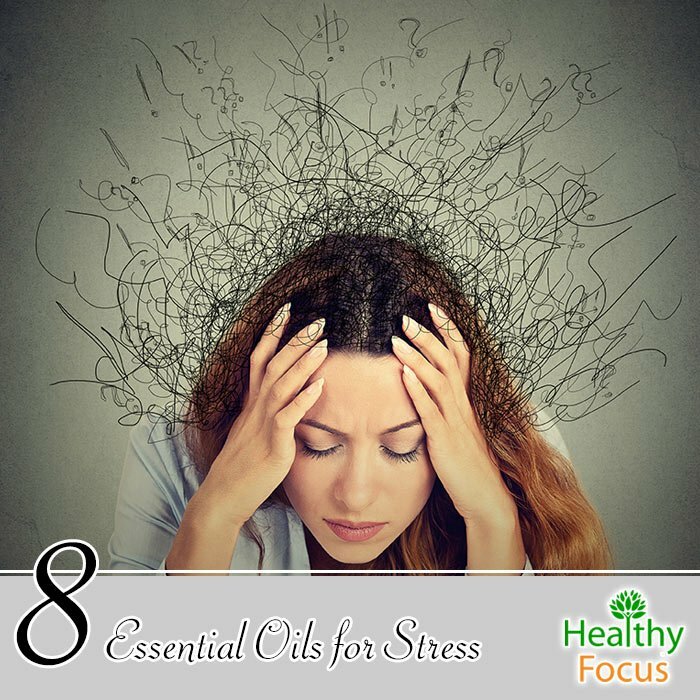 This article will take a detailed look at the best essential oils to help you deal with your stress and tell you the best ways to use them for your condition. Lavender essential oil is the most popular of all the oils because of its gentle actions and its incredibly varied physical and emotional benefits. It is an extremely popular oil in aromatherapy for its ability to calm the mind, relax the nerves and promote good sleep. If you are suffering from stress, anxiety or even a panic attack, try lavender essential oil and you should notice the benefits without the risk of nasty side effects. Frankincense oil is another extremely popular oil in aromatherapy with myriad uses. It is extremely extremely effective in fighting stress and anxiety owing to its sesquiterpenes that easily cross the blood brain barrier and stimulate the limbic region of the brain. A study conducted in 2008 found that a compound in frankincense essential oil called incensole acetate helped relieve stress, anxiety and depression. (2) Inhaling the oil can quickly induce feelings of calm and relaxation while it can also help you get a good quality night of sleep. Not for nothing is vetiver oil referred to in India as the oil of tranquility. Recent studies have showed that vetiver essential oil, which is sometimes referred to as khus oil, has excellent stress relieving properties. It has a delightful scent reminiscent of patchouli oil with a hint of citrus. The oil can help ground the mind and calm the nerves and is an excellent choice for anybody experiencing stressful periods or even a panic attack. The sweet, citrus fragrance of bergamot oil has made it a popular ingredient in perfumery while it can also boast numerous medicinal properties. Sandalwood oil is considered a sacred oil among many cultures. It has a delightful aroma and is highly regarded as a calming and relaxing oil. If your stress and anxiety is sue to studying hard or working under pressure, sandalwood oil can not only calm the mind but also hep with your focus and memory. Chamomile is often drunk as a tea to calm the nerves and promote sleep. The essential oil of chamomile can offer the same benefits. It is a very popular oil in aromatherapy for its calming aroma, its ability to relieve stress, anxiety and feelings of anger. Rose essential oil is a known confidence booster that is linked to greater self-esteem, emotional stability and reduction in both stress and anxiety induced panic attacks. It is a popular oil in aromatherapy for dealing with a wide range of emotional issues and instilling feelings of happiness and calm. Ylang Ylang essential oil is another wonderful, calming oil that can bring you plenty of relief from your stress. It also helps to ease anxiety and fear while instilling feelings of optimism and happiness. Now that you have chosen your essential oil, you will need to know how best to use them to relieve your stress. Here are a couple of great ways to get the most out of your oils and lift your spirits. Inhaling deeply on your oils whenever you are feeling stressed is the easiest way to use them. You can inhale from the bottle or rub a few drops into your hands then cup them over your mouth and nose. Alternatively, add a few drops to a handkerchief and use that instead. You can add ten or so drops of your chosen oil or combination of oils to your bathtub and let the goodness wash over you. Alternatively add a few drops to the shower floor and let the vapors immerse your body. Diffusing your essential oils at home or in the office can be a very effective way of relieving your stress and helping you to focus on any tasks at hand. Combine a few drops of your favorite stress relieving oil with a carrier oil like coconut or jojoba. Massage the oil into your feet or hands or give yourself an all over body massage.